Combine honey and vinegar in a small bowl, stirring well. Remove chicken from oven; brush with honey-vinegar mixture. Broil 1 minute. Remove chicken from the oven and brush the other side. Broil 1 additional minute or until chicken is done. This one is more sweet than spicy, but it can definitely have a zing to it. 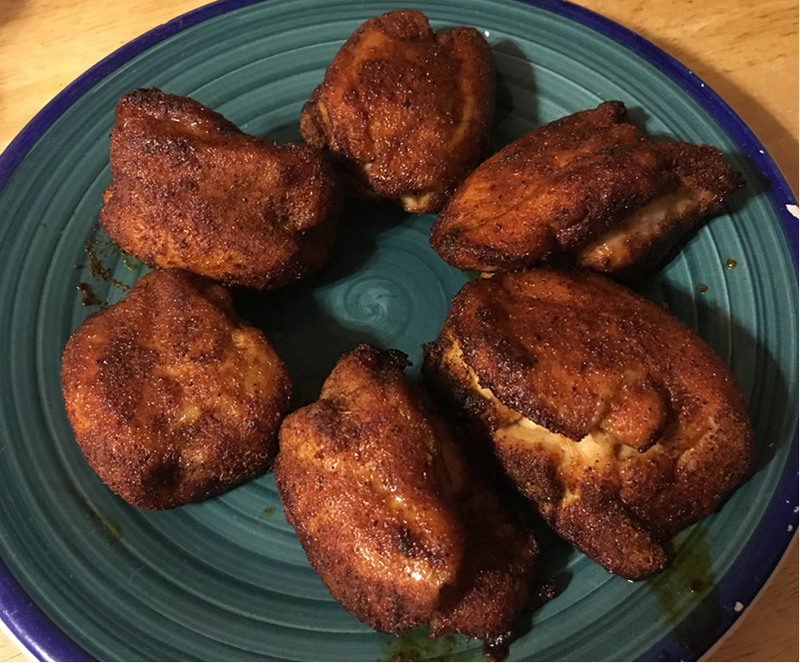 For larger chicken thighs, broil 6 minutes per side to make sure they’re cooked through. Also I always cut the honey-vinegar mix by half as I find I don’t need any more than that.